But on her first night in her new home, Isobel starts to fear that it isn’t only her life that’s unraveling—her sanity might be giving way too. Because either Isobel is losing her mind, just like her artist father did before her, or she’s seeing ghosts. Either way, Isobel’s fast on her way to being the talk of the town for all the wrong reasons. From Goodreads. This book was pretty good, I felt so bad for Isobel almost throughout the story. There were moments though that I was glad that she stood up for herself and explained that mental illness isn’t something that should be joked about. Of course this book is mainly a ghost story. 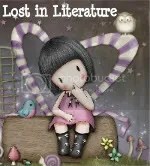 Which I loved, you don’t see too many of them out there and sometimes it’s nice to deviate from the vampires and werewolves of the YA world. Not that there is anything wrong with that, because I do love those as well. I loved that Isobel met an actual ghost but had no idea that she was one until the end of the book. Now the love interest in the book is an interesting choice, I mean they aren’t really related right? And they didn’t grow up together so it’s okay? I didn’t think it was gross or weird so I am assuming a lot of other people won’t think that way either. I do have an older stepbrother but we grew up together so it would be weird not to mention I am happily married to someone not related to my family at all (we are French and his family is Italian). I really enjoyed the story in this book. I loved the mystery of what happened to the two girls, to her new stepdad’s and stepbrother’s mom and daughter/sister. 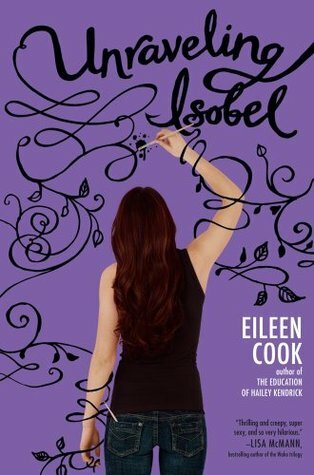 How Isobel figured it all out and still tried to make everything right. I gave this book 4 out of 5 stars.